CBS has renewed its highly rated, long-running reality show Survivor through a 26th season, ensuring at least three more rounds to come of people who are not there to make friends pretending to make friends before revealing that they were never there to make friends, all in a cutthroat quest for Survivor-al. 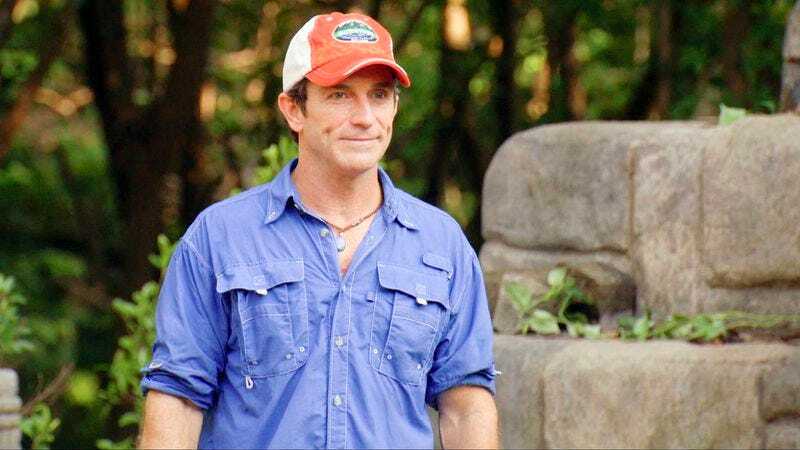 The deal also locks in host Jeff Probst, whose forthcoming daytime talk show had caused some to speculate that he might abandon the chance to put starving people through humiliating challenges while he stood smirking off to the side, his belly filled with succulent pork and papaya juice. But no, Probst is all but guaranteed to be there for years to come, perhaps until producers simply plop his wheelchair in the sand and he’s barely able to lift one bony arm while demanding that his young charges best get to eating each other if they ever want to get off this damn island.